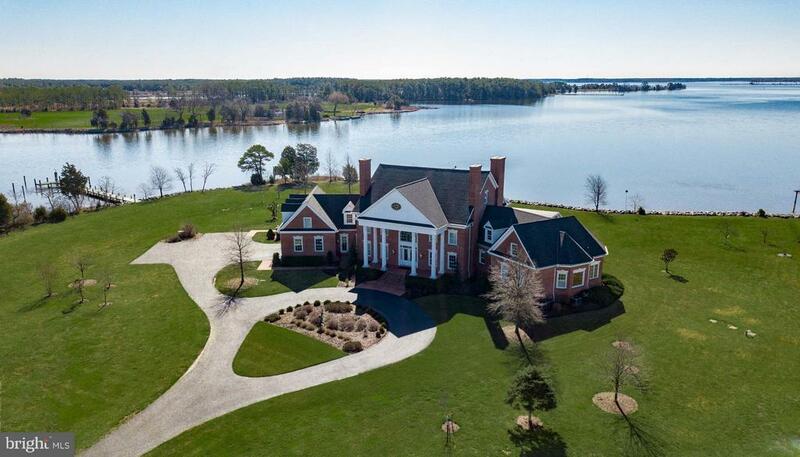 "SOUTHWIND" A FABULOUS GATED WATERFRONT ESTATE on Marylands Eastern Shore sits on 214 +/- acres with 2.5+/- miles of waterfront on Hudson Creek. This property features a stunning custom 5 BR brick manor house, 5 BR guest house, barn, workshop, 4 ponds, 2 docks, waterfowl blinds and deer stands. Total of 5 parcels including sweeping lawns, gardens, meadows, farmland, wetlands, and wooded acreage. Directions: Rt. 50 E turn right at WaWa. Go one block and Turn right at stop sign onto Washington St/343, follow to Cassons Neck Rd and make slight left turn onto Cassons Neck Rd, Property on the left, see sign.